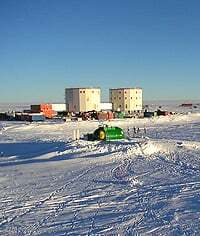 Most established Antarctic science bases lie on or near the coast. Few are located in the interior, given how high, featureless and difficult it is to reach. During the sunless winter, temperatures in the interior fall down to -80 °C or lower. For the purposes of astronomical "seeing", however, the Antarctic interior is ideal. In fact, Australian astronomers have successfully demonstrated that their site 1000 km from the Antarctic coast has seeing conditions nearly as good as the orbiting Hubble Telescope. The site lies at 75 degrees south latitude and 3260 meters above sea level. A collection of odd-shaped buildings there house the new era in terrestrial astronomy. Because the astronomers can only get to the Antarctic interior during summer, their automated telescope equipment must operate unattended the rest of the year, reliably producing accurate measurements. The equipment is a custom mixture of analog and digital electronics developed withstand the extreme and variable winter temperatures. 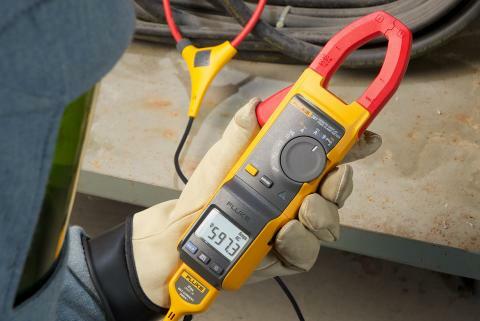 A key part of the tool kit used to install and maintain these electronics has been the Fluke 189 digital multimeter (DMM). 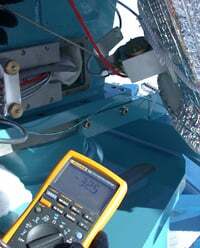 During their brief summer trip, the astronomers rely on the Fluke 189 to update their instruments and repair any faults that occurred during the winter. Then, they leave several 189 DMMs on site to monitor operations in their absence. To evaluate the site's long-term potential, the south pole team has installed two robotic telescopes weighing 70 kg each. The telescope engines use jet fuel to generate electric power, and the system is run by a microprocessor controller. Overall, the electronics use only 20 watts of electricity. With no heating, the systems work at ambient temperatures down to -80 °C. Designed at UNSW, the Antarctic Fibre-Optic Spectrometer points at bright stars, planets and the moon and sends the light down two bundles of optical fibres. The spectrometer's signal, measured with a CCD camera, indicates the transparency of the Earth's atmosphere from ultraviolet wavelengths to the visible red. The Antarctic Differential Image Motion Monitor is a telescope based on 14 in. optics, used to measure the astronomical seeing in the visible spectrum, i.e., how much atmospheric turbulence affects the quality of the images. This was developed by the Australian National University in the national capital of Canberra. In the future, the site could host major new astronomical telescopes, from 2 to 100 meters in diameter. Building a large terrestrial telescope in Antarctica cost a lot less than the Hubble's $3.5 billion USD outlay. During trips to Antarctica each summer, the researchers use their DMMs to test and set up the astronomical instruments and supporting electronic and electrical systems. 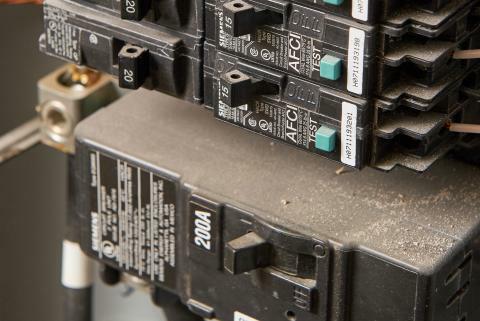 Typically, this includes voltage, resistance and temperature measurements. The DMM is used successfully in outdoor ambient temperatures generally between -30 to -40 °C; indoors, about 10 °C. As UNSW astronomer Michael Ashley explains it, the team chose the Fluke 189 DMM based on its features and facilities, including basic accuracy, the dual display, wide range of measurements and stand-alone logging. The astronomers regularly use the data logging and averaging features. 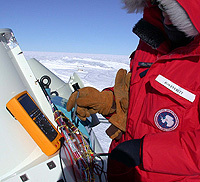 The ability to setup the instrument and leave it operating unattended, gathering data for several hours, is a big advantage for Ashley. 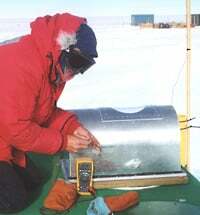 The team keeps a 189 DMM at the south pole site year round. Even after withstanding -80 °C. "It works fine when we come back each summer," says Ashley. The team also used two 189 DMMs to log the performance of gel cell batteries during the original equipment development. "One DMM logged battery charge and discharge current, while the other logged battery voltage. We then made a series of measurements over several weeks while maintaining the batteries at various temperatures from 20 to -60 °C. The data logged by the 189s were downloaded to a PC for plotting and analysis," explains Ashley. 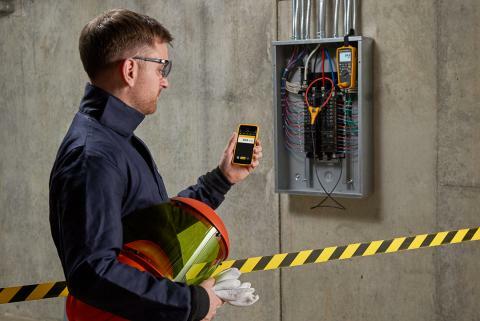 "From experience, we've found cheap multimeters are susceptible to radiofrequency interference, when used near switchmode power supplies for example. And their accuracy suffers as their batteries decline, as well as having other display accuracy problems." "We need instruments that work, from which we can guarantee results. 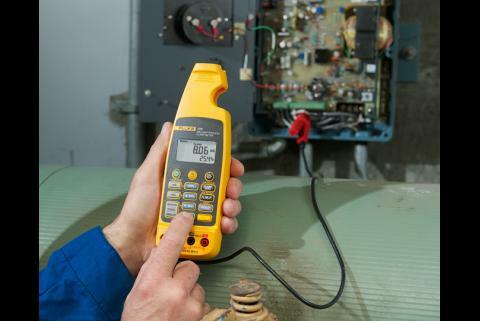 We've never had a problem with Fluke instruments," says Ashley.